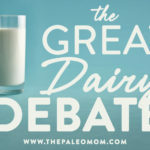 The value (or lack thereof) of dairy products is one of the most fiercely debated topics within the Paleo community. Opinions vary dramatically from consumption of no dairy whatsoever, to only consuming dairy fat (such as ghee, butter, and heavy cream), to only consuming raw grass-fed dairy, to only consuming fermented dairy or aged cheeses, to including any dairy on a regular basis. All of those positions are based on varying degrees of science and speculation, with no clear-cut (and evidence-based!) guideline that could apply across the board. So, should we include dairy in our diets, or not? 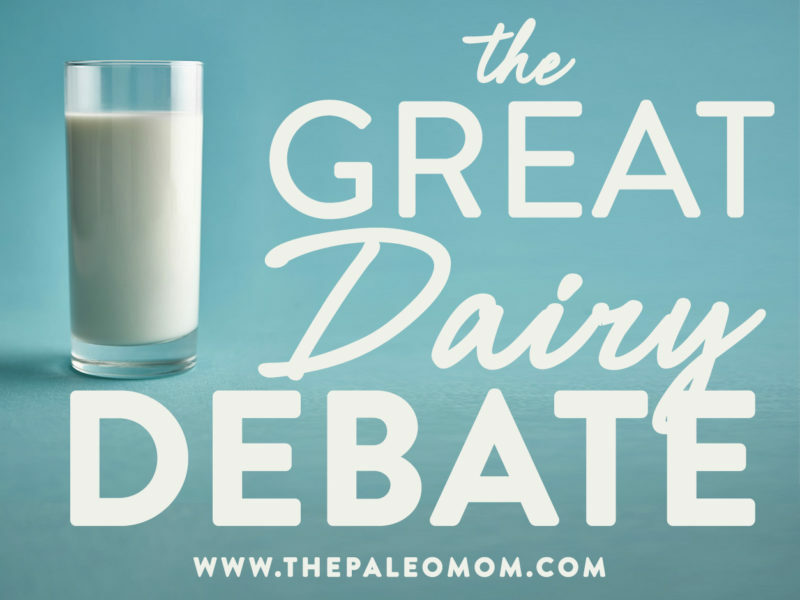 Let’s start with the most legitimate arguments against dairy! Like grains and pseudo-grains, dairy contains protease inhibitors, which are molecules designed to neutralize the digestive enzymes that would normally degrade the proteins (and toxins) in food. When protease inhibitors are present in our digestive tract, it affects degradation of all proteins present at that time. When our bodies sense the need to increase protein digestion, the pancreas secretes more digestive enzymes into the small intestine. Because some digestive enzymes are being inhibited (the proteases which break down protein) while others are not, the balance between the different digestive enzymes is thrown off. One enzyme that ends up in excessive quantities during this process is trypsin, an enzyme that is very good at destroying the connections between cells. If we have a large concentration of trypsin in our small intestine, it can weaken the connections between the enterocytes, creating a pathway for the contents of the gut to leak into our blood stream. To make matters worse, in the presence of an already leaky gut, incompletely digested proteins that cross the enterocyte layer stimulate the resident immune cells of our gut to release inflammatory cytokines and produce antibodies. The result is increased inflammation! 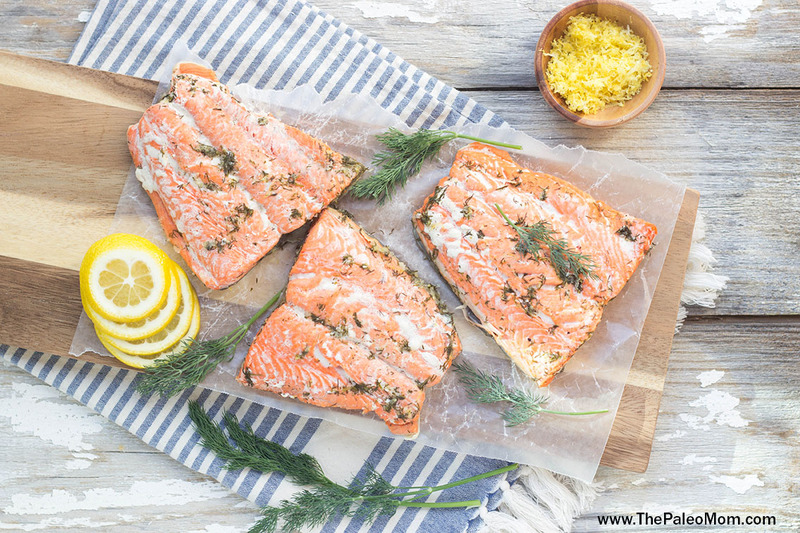 (See What Is A Leaky Gut? (And How Can It Cause So Many Health Issues?) and How Do Grains, Legumes and Dairy Cause a Leaky Gut? Part 2: Saponins and Protease Inhibitors). Ultimately, dairy is designed to create a leaky gut. Scientists still don’t understand all the mechanisms through which this occurs. But, it seems to be an important aspect of what dairy is designed to do: feed babies (of the same species) optimal nutrition for rapid growth. In newborn infants, a leaky gut is essential so that some components of mother’s milk can get into the blood stream, like hormones and all the antibodies that a mother makes that helps boost her child’s immune system. When we’re young, a leaky gut is actually a good thing! But, while this is essential for optimal health in babies, it becomes a problem in the adult digestive tract where there are more things present than mother’s milk, much of which we don’t want to leak into the blood stream. Drinking milk from a different species seems to exacerbate the problem since the foreign proteins can trigger a larger immune response. One of the biggest reasons many people avoid or limit dairy products is lactose intolerance—the inability to fully digest lactose (the main sugar in milk). Rates of lactose intolerance vary widely based on ethnicity, ranging from 5% among Northern Europeans to over 90% of the population in some Asian and African countries. In fact, in the US alone, somewhere between 30 and 50 million people are lactose intolerant! Lactose intolerance results from a deficiency in an enzyme called lactase, which is secreted by cells in the upper part of the small intestine and is responsible for breaking down lactose into glucose and galactose. Lactose intolerance can be inherited (involving mutations in the LCT gene, which provides instructions for making lactase), or it can develop later in life due to certain health conditions (like Crohn’s disease, celiac disease, ulcerative colitis, gastroenteritis, or stomach infections) or as a result of chemotherapy. Regardless of how it forms, lactose intolerance is pretty unpleasant: it results in symptoms like gas, bloating, stomach pain, nausea, and diarrhea in response to dairy consumption (all caused by undigested lactose in the gut!). One of the arguments in favor of raw milk is the presence of active lactase which aids in digestion even by those with lactose intolerance and which is rendered inactive by the pasteurization process. However, it is important to recall that pasteurization was introduced in the late 1800s because serious infections–like tuberculosis, strep throat, scarlet fever, and typhoid fever–were transmitted via raw milk consumption. And in fact, the legal requirement that milk be pasteurized, introduced in 1908, is credited for preventing millions of cases of serious illness each year, nearly eradicating diseases like tuberculosis in the USA, and is viewed as one of the greatest contributions to public safety in history. While many of the potential sources of milk contamination can be mitigated, those opting for raw milk are strongly advised to thoroughly research the farming practices of their potential suppliers. Due to the risks involved with consumption of raw dairy, I can not unilaterally endorse it and believe that each person needs to carefully consider the risks and benefits in their own decisions regarding raw dairy. While lactose intolerance involves reaction to milk sugar, true dairy allergies involve a reaction to various proteins in milk (including casein and whey). Epidemiological reports of cow’s milk allergy (IgE antibody reactions to cow’s milk proteins) range from between 1 and 17.5% in preschoolers, 1 and 13.5% in children ages 5 to 16 years, and 1 to 4% in adults. The prevalence of cow’s milk sensitivities (IgA and IgG antibody reactions to cow’s milk proteins) in the general population is unknown, but one study in patients with Irritable Bowel Syndrome showed that a whopping 84% of participants tested positive for IgG antibodies against milk proteins. That’s definitely excellent rationale right there for eliminating and then challenging dairy (see Reintroducing Foods after Following the Autoimmune Protocol). Cow’s milk proteins are also known gluten cross-reactors, which means that those with gluten intolerance may produce antibodies against gluten that also recognize dairy proteins (see Gluten Cross-Reactivity: How your body can still think you’re eating gluten even after giving it up). For these people, eating dairy is essentially the same as eating gluten. Very importantly, for people with allergy, intolerance or gluten cross-reactions to dairy proteins, even the trace proteins in dairy fats (like butter and ghee) can be a problem. Insulin response. Milk is highly insulinogenic, meaning it causes a large spike in blood insulin levels, disproportional to the amount of sugar and protein in milk. However, the available evidence suggests that dairy-induced insulin spikes don’t lead to the development of chronic disease and obesity: as we’ll see shortly, many dairy products (and specific components of dairy products) are associated with lower risk of the chronic diseases linked with high insulin levels. Hormones. Milk contains active bovine (cow) hormones, which have the potential to alter our own hormone levels. For example, milk consumption (particularly dairy protein) tends to raise our blood levels of insulin-like growth factor-1 (IGF-1), which has been linked to higher risk of breast, colorectal, and prostate cancer. However, other components of dairy have been shown to be cancer-protective, and may consequently negate the potential hormone-related risk increase. On the “pro” side of the list, there are also some very compelling arguments for including dairy products in our diets! Studies have shown that consumption of dairy, especially full-fat dairy and fermented dairy products, can protect against metabolic syndrome (cheese, full-fat dairy, and fermented dairy), type II diabetes (fermented dairy only) and cardiovascular disease (cheese, full-fat dairy, and fermented dairy). In fact, one meta-analysis of 31 prospective cohort studies found that dairy consumption in general was associated with a 9% lower risk of stroke; calcium from dairy foods was associated with a 31% lower risk of stroke; and cheese was associated with an 18% lower risk of coronary heart disease and 13% lower risk of stroke. There is some evidence that non-homogenized dairy especially is linked to health benefits. Grass-fed dairy, especially the fat from grass-fed dairy, is an excellent source of fat-soluble vitamins and conjugated linoleic acid, an anti-inflammatory fat that can potentially improve body composition and reduce cancer risk. Additional nutrients in dairy can also be health-protective in a number of ways, such as calcium reducing vascular resistance and blood pressure, vitamin D improving insulin sensitivity and reducing cancer risk, and potassium, magnesium, and phosphorus playing a role in blood pressure management. Fermented dairy is an excellent source of probiotics, particularly Lactobacillus and Bifidobacterium (check out “The Health Benefits of Fermented Foods” for more on this topic!). There are also some valuable proteins in dairy, such as glutathione (very important for reducing inflammation and protecting against oxidative stress) and whey (which has been shown to have anti-tumor and immune-boosting properties in a wide variety of studies). So, should we include dairy in our diets or not? The answer is entirely individual. For a healthy person with no dairy intolerance or allergy, no autoimmune diseases, and no other conditions where a leaky gut is a potential contributing factor, dairy may be perfectly fine and even beneficial (especially fermented dairy and full-fat, grass-fed dairy). 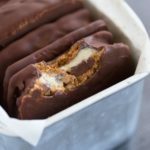 For everyone else, it makes the most sense to omit dairy for the time being, and experiment with reintroducing it after at least one month of elimination in order to determine whether it’s causing symptoms (see Reintroducing Foods after Following the Autoimmune Protocol for the best way to do this). In general, dairy fats with little to no sugars or protein (ghee, and to a lesser extent butter and cream) tend to be less allergenic and most widely tolerated. Agostoni C & Turck D. “Is cow’s milk harmful to a child’s health?” J Pediatr Gastroenterol Nutr. 2011 Dec;53(6):594-600. Alexander DD, et al. “Dairy consumption and CVD: a systematic review and meta-analysis.” Br J Nutr. 2016 Feb 28;115(4):737-50. Bonthuis M, et al. “Dairy consumption and patterns of mortality of Australian adults.” Eur J Clin Nutr. 2010 Jun;64(6):569-77. Chowdhury R, et al. “Association of dietary, circulating, and supplement fatty acids with coronary risk: a systematic review and meta-analysis.” Ann Intern Med. 2014;160:398-406. Crowe FL, et al. “The association between diet and serum concentrations of IGF-I, IGFBP-1, IGFBP-2, and IGFBP-3 in the European Prospective Investigation into Cancer and Nutrition.” Cancer Epidemiol Biomarkers Prev. 2009 May;18(5):1333-40. Hu D, et al. “Dairy foods and risk of stroke: a meta-analysis of prospective cohort studies.” Nutr Metab Cardiovasc Dis. 2014;24:460-469. Louie JC, et al. “Higher regular fat dairy consumption is associated with lower incidence of metabolic syndrome but not type 2 diabetes.” Nutr Metab Cardiovasc Dis. 2012 Sep 26. pii: S0939-4753(12)00193-7. Muldowney S & Kiely M. “Vitamin D and cardiometabolic health: a review of the evidence.” Nutr Res Rev. 2011;24:1-20. Nukumi N, et al. “Reduction of tumorigenesis and invasion of human breast cancer cells by whey acidic protein (WAP).” Cancer Lett. 2007 Jul 8;252(1):65-74. Epub 2007 Jan 9. Rice BH. “Dairy and Cardiovascular Disease: A Review of Recent Observational Research.” Curr Nutr Rep. 2014;3(2):130-138. Sluijs I, et al. “The amount and type of dairy product intake and incident type 2 diabetes: results from the EPIC-InterAct Study.” Am J Clin Nutr. 2012 Aug;96(2):382-90. Epub 2012 Jul 3. Sonestedt E, et al. “Dairy products and its association with incidence of cardiovascular disease: the Malmö diet and cancer cohort.” Eur J Epidemiol. 2011 Aug;26(8):609-18. Qin LQ, et al. “Dairy consumption and risk of cardiovascular disease: an updated meta-analysis of prospective cohort studies.” Asia Pac J Clin Nutr. 2015;24:90-100. Warensjö E, et al. “Biomarkers of milk fat and the risk of myocardial infarction in men and women: a prospective, matched case-control study.” Am J Clin Nutr. 2010 Jul;92(1):194-202. Epub 2010 May 19. Been using Mt.Capra goat milk products for a couple of years now, mainly for post-workout nutrition. Great stuff. I forgot that some people want specifics, so what I use is use 16 oz coconut water as a base and blend in 5 slightly heaping tablespoons of the Caprotein, and 2 level tablespoons of the dried goat milk. During the summer months, I have access to raw, grass-fed goat’s milk, so I replace the dried goat milk and half the coconut water with the raw goats milk (8 oz coco water, 8 oz raw goat milk, 5 slightly heaping tablespoons Caprotein). Posts like this are why I come back to this blog over and over and over. Scientific, practical, well researched, and clearly explained. You are a gift to the public well being – THANK YOU! Sarah, have you come across research comparing the digestibility of cow’s milk proteins to other dairy proteins, such as goat or sheep? Our family care doctor, whom I found through the Paleo Physician’s Network, recommends no cow dairy but says that the digestibility of sheep and/or goat protein is so much better and therefore okay. Any thoughts on this? Sheep and goat have less lactose, which might make it more digestible, but I havent seen anything saying that the proteins themselves are more easily digested. But, the casein is different, and is less allergenic than the casein in cow milk, so that’s a definitely a pro to sheep and goat milk. Many people do tolerate sheep and goat milk when they can’t tolerate cow milk. W are from Austria and raw grass fed sheep alpian homemade kefir is our everyday breakfast. You know it is super thick like yogurt cause 8%fat it has 15 protein in cup I have big bowl so it is 30grams of protein and it has 300mg of omega 3 in cup so 600mg just in my breakfast. I can not imagine a day without it, so delicious nutrititious dnese breakfast. I just can not eat so much meat as Paleo advice (bacon aggs breakfast, meat for lunch and dinner too) So I love our raw sheep kefir with wild moutanins blueberries or other fruit in season. Goat milk is not as thick cause lesser amount of fat also lesser amount of protein and omega3 and other vitamins and minerals. My daughter is eating with me every day and enjoy it a lot. I have just startet reading your book a few days ago, so I haven’t startet yet. But I was looking at the re-introductionplan. I see that cheeses are at the last stage, but is it possible that cheeses like feta and chevre (two of my favorite), could be more easily reintroduced than other cow-milkbased cheeses. Looking at the list of no-nos cheese and creme/sour-creme, coffee, aubergines and tomatoes are the most difficult to give up.. I know it is silly to look at this now, before I start, as I should focus on what I can eat. But I already have given up a lot of the foods I love already, and I want to see a little hope of being able to eat some of the ones I have to give up. The book is amazing by the way! I think it’s very individual. We’re in the well fermented yoghurt and a few selected well aged cheeses. Cream seems okay, but milk is a definite no. It sends my daughter’s blood sugars too high! Fantastic post! Things have changed dramatically in our household since we switched to raw milk (along with yogurt and kefir). Although most people find the fact that I consume dairy “controversial”. It’s the first thing I’m re-introducing after the whole life challenge is over! Thanks for this. I get a reaction to dairy, but it is a very slow progression. After about a week of cream in my coffee, I then get an arthritic flare-up (compared to other foods where it’s within 24 hours). I delude myself into thinking ‘it’s not that bad!’ then. I needed to read this for the eye-opener it is! My son’s eczema also has disappeared without dairy so we don’t eat much of it anymore. Still … it’s hard to let go of the cream in my coffee and the odd piece of cheese! My reactions are the same way, slow and hard to pin down. It would be so much easier to have an immediate reaction. As for your coffee, have you tried adding a Tbsp or 2 of coconut oil in, then whipping it in the blender for 15-20 seconds? It’s awesome! What do you think about bovine colostrum to heal a leaky gut / or help with Crohn’s disease ? I have read that a high quality product does not contain lactose or casein and is highly beneficial. I am lactose intolerant since my twenties (32 yo now), and since I have been diagnosed with Crohns in Sept 2012, the only dairy product I have is goat milk yogurt. I gave up all dairy except that one. Do you think I am silly to give a try to bovine colostrum ? I have read that it is very beneficial in crohn’s disease too. But, I haven’t read the original scientific articles to see how well the science was performed, possible risks, allergic cross-reactions with milk, etc. (I’ll add this to my list of future posts). At this point, I do not know enough to recommend it or against it. Sorry, I don’t have a better answer for you! 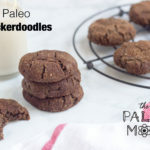 PaleoMom – great website, I will refer people to it!. 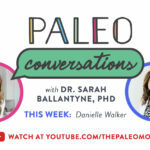 I hate to get off topic – but I like sharing info with other Paleo dieters. After a workout, I drink 12-16oz of raw milk (I live in NE and get it from a local farm), and add a scoop or two of whey protein that I got from this website: http://www.wheynaturalusa.com/products.html. I am completely sold on the quality of protein from Whey Natural USA. The taste is unbelievable when mixed raw milk. I would definitely recommend at least trying their free sample. Thank you! Typos happen and I’m always appreciative when people point them out. Thanks for the links too. I think if dairy is tolerated, whey can be really powerful in providing all of the amino acids and cofactors needed to make glutathione. I buy raw milk. I have read a d researched this on Weston price. They sai its the only good milk to drink. What you think about raw milk? More nutrition and more risky. I think it’s a cost benefit analysis that every individual needs to do for themselves. Hi first time on the blog today and just getting started on my research. I’m curious if the research on dairy includes raw milk or if it’s strictly based on pasteurized and/or homogenized milk? My family just moved to 10 acres and we’re considering having our own dairy cow since raw milk is so tightly regulated. Good article. I can’t tolerate milk proteins at all. Two comments on BGH: Years ago, I had a friend who worked in a lab with bovine growth hormone. She said then that the milk industry was required to test milk for the presence of BGH before selling it, but were not required to test for the methylated version of it, which is what was present in the milk after the cows metabolized the hormone. Second anecdote: A skinny friend of my daughter’s started growing breasts when she was 7 – they disappeared when she switched to organic milk. Seems to me from this limited experience, that nobody should drink milk from BGH-fed cows. Sarah, do you know if ghee contains any of the hormones present in other dairy products? I eliminated all dairy except for ghee for 6 months and then reintroduced butter, and then later raw goats milk kefir. Both reintroductions resulted in some pretty major hormone fluctuations in my body. I didn’t realize until then that raw and organic dairy naturally contains high levels of hormones. I do love my ghee, so I would honestly hate to give it up. Are the hormones strained out along with the lactose and casein? I don’t know for sure, but since hormones are fat-based molecules, I suspect that it does (just as it would also contain fat-soluble vitamins). Thank you for this post. 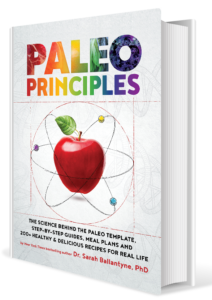 I agree that Paleo must be a case to case basis, especially on how it deals with the grey-area foods. I tried a strictly Paleo diet, eliminated all the non Paleo foods as recommended by the diet. After which I re introduced raw milk and small amount of rice back to my diet. So far, so good, my body is feeling great more than ever. 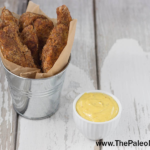 My next goal now is to introduced Paleo to my kids. Another great hurdle for me, I am challenged to research on kid friendly Paleo recipes, since they are picky eaters. But I know I’ll get there, slowly but surely. It would be worth doing a food journal for a week and seeing what their calcium, magnesium, phosphorous, vitamin A, vitamin D (K2 would be great too, but hard to get info on the content in food) and see how they’re doing before supplementing. Then, I always think it’s better to try and get nutrients from food. 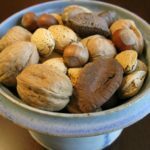 Have a look at https://www.thePaleomom.com/2013/09/why-dont-i-need-to-worry-about-calcium-2.html to see if there’s some good food sources that your kids will eat. Just wondering which alternative milk would be the best for my kids (2 and 4 years old). I don’t have access to raw cows milk. They won’t drink goats milk. They don’t mind almond and coconut milk. I know that almond milk doesn’t have a lot of fat, and coconut milk has fat, but no calcium. What is the best option for them? Thank you so much for this site and all your expertise! 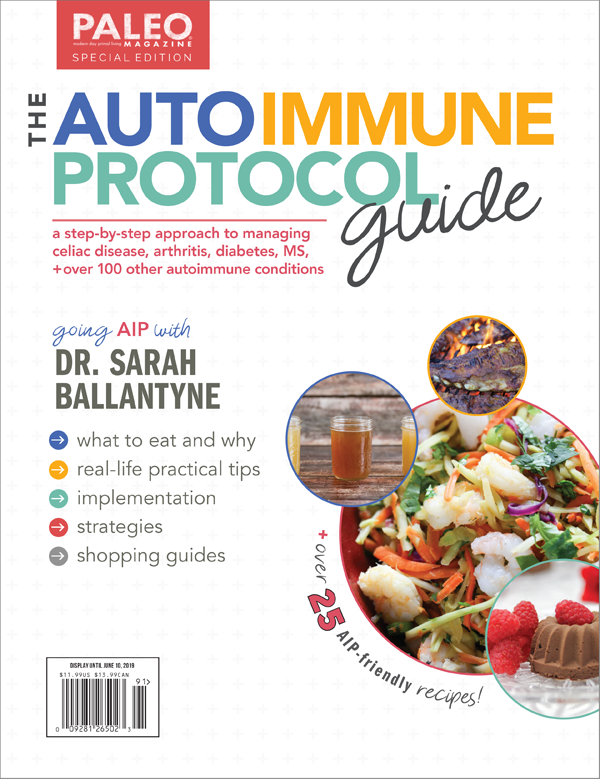 I will be starting the autoimmune protocol in January to manage my Celiacs disease, Hashimotos, and psoriasis. Your children don’t need milk! In fact it is very likely most cow’s milk could hurt them. Almond milk is great. Healthy fats from nuts as well as a balanced diet high in greens will be all they need. Do you know if grass-fed lactose-free whole milk is out there, anywhere? I have crohn’s and could tolerate raw milk from healthy cows far better than the organic pasteurized and homogenized variety. This article did not mention the specific effects that dairy products have on women in particular. It is suggested that most dairy products cause acne, among other things. There is also research indicating that full fat dairy contains more estrogen and progesterone than other dairy products. 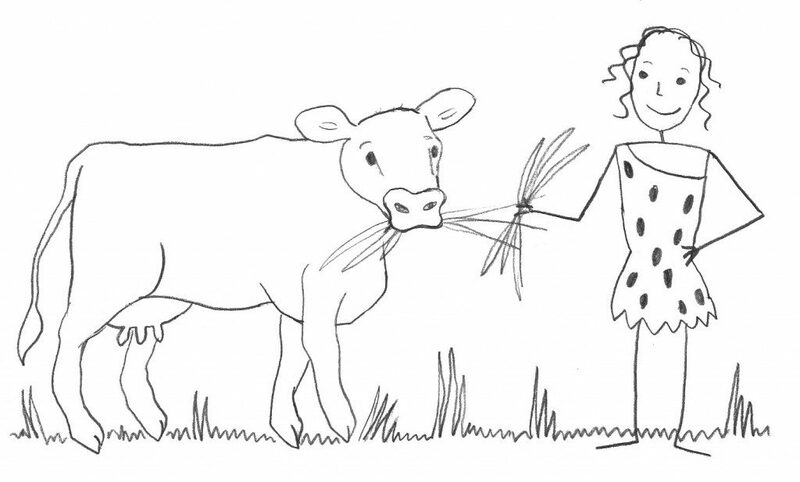 Before starting Paleo I had a lot of half and half, 2% milk and cheese that would cause flatulence. Once I started Paleo I eliminated those (and the flatulence, yay!) but I began drinking heavy cream in my coffee every day. Weeks later I noticed painful ovulation (a first) followed by the most painful menstrual cramps (think labor contractions) I’ve ever had. I didn’t want to believe it was the heavy cream (it was my last dairy indulgence) but it seemed the most likely culprit. I endured the painful ovulation and cramps for one more cycle to make sure it wasn’t a fluke and then cut out the heavy cream. Voila, the third cycle was normal. I also experienced similar (though not as bad) results when I switched to soy milk. Coconut and almond milk may be the only options for me. I have done hours of research on raw milk because the benefits are supposed to be so great. But I have always been allergic to milk. From what I read there is a difference in the milk produced from cows of different breeds. The A1and A2 breeds for example Holstein and Jersey have different milk. I can only tolerate raw from Jersey. I was just wondering why you didn’t even mention this in the article? I was wondering that too david. From what I understand A2 milk is less problematic, and all (?) U.S. dairy cows are A1. I love this website it was not useful at all. Thanks! I am wondering if taking supplemental digestive enzymes either with or without food, e.g. 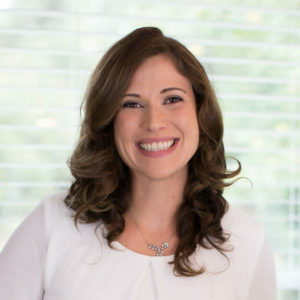 for systemic inflammation, would result in similar effects as Sarah outlines regarding eating foods that contain enzyme inhibitors, which cause the pancreas to overproduce more enzymes, which can then further degrade a leaky gut. I’m really interested in the part about babies having leaky guts. Do you know when it’s thought that the gut closes? I’m thinking about how that may impact the timing of the introduction of solids. Why does dairy cause leaky gut? It seems the only references I can find in this article are to trypsin inhibitors as a proposed mechanism. Don’t plants have trypsin inhibitors as well? Thank you for that very interesting post weighing the pros and cons. I found the connection of protease inhibitors in dairy with leaky gut particularly interesting. The study says that Keith contains protease. Would that make Kefir and possibly other fermented dairy products safe to consume in term of leaky gut? Thank you for your reply! It’s a fascinating topic! Thanks for this article. I see that in your book you recommend avoiding dairy, including butter oil, but that cultured grassfed ghee might be tolerated. I bought some butter oil because it has important cofactors for the cod liver oil I am taking, but I don’t want to take it if it’s a no-no on AIP. What is the difference between ghee and high vitamin butter oil? Can you help clarify?